In January, The Marketing Posse turned four years old. In many ways, we are still a toddler, but for a new business, I am so proud of the progress we have made. Today we have about a dozen companies we support, a handful of employees, and our own cool office space in Safety Harbor. This isn’t the result of some grand plan. It’s the outcome of a woman with an eclectic background (p.s. I have a liberal arts degree in music) who works hard and charges forward. And as a certified Women Owned Business, we would like to celebrate other success and strong women leaders. 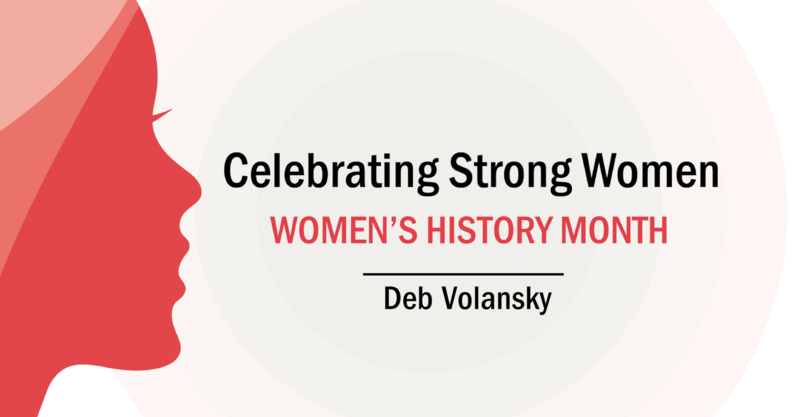 So, in honor of Women’s History Month, we would like to share Deb Volansky’s story. Deb is the CEO of Connex Intl which is one of the partners we support. Connex found The Marketing Posse because they were specifically looking for a Women Owned business and we are grateful for the work. But the real inspiration, for those readers out there, is in Deb’s story. 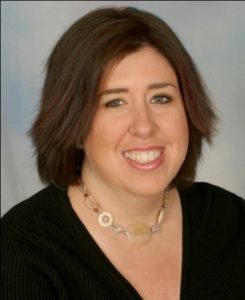 Deb started with Connex as an entry level Conference Coordinator and quickly progressed to include positions such as Trainer, Account Rep, Director of Operations, Vice President, President and eventually CEO and owner. When Deb purchased Connex in 2009, the economy was in recession and the business environment was tumultuous. In that environment, Deb’s passion and commitment to providing communication solutions were reaffirmed. She saw firsthand that conferencing was enabling meaningful and impactful conversations. Deb is a “been there” leader who has a deep and unique understanding of not only her business but also the roles in her organization. If you ask her about her success, she will tell you she attributes the success of Connex to the great team she has and their dedication to providing the highest level of service possible for their clients. Deb’s hands-on approach to management, coupled with her foresight and business acumen, have helped propel Connex to be one of the leading conferencing and event companies in the market today. Deb is uniquely talented at translating new ideas into services. She is a long-term thinker and planner who keeps the future in her field of vision—for Connex and its clients. In 2009, Connex became a certified member of WBENC (Women’s Business Enterprise National Council) and Deb joined the Women Presidents’ Organization. As a woman business owner herself, Deb continuously looks for opportunities to support other women and minority-owned businesses by choosing them as strategic vendors and/or partners when possible (Thank you, Deb!). Deb also believes in giving back which is why she created ConnexCares. She believes that giving back and connecting people at the community level is a natural extension of what we do. ConnexCares donates to not-for-profit associations that have touched the lives of her teams’ family, friends, co-workers, and associates. Aside from being the CEO of her company, she is a graduate from Western Connecticut State University, happily married to her husband Ed, and the proud mother of two children. Deb, we are inspired by your story and your success! Thanks for sharing! Great story and inspiring individual.